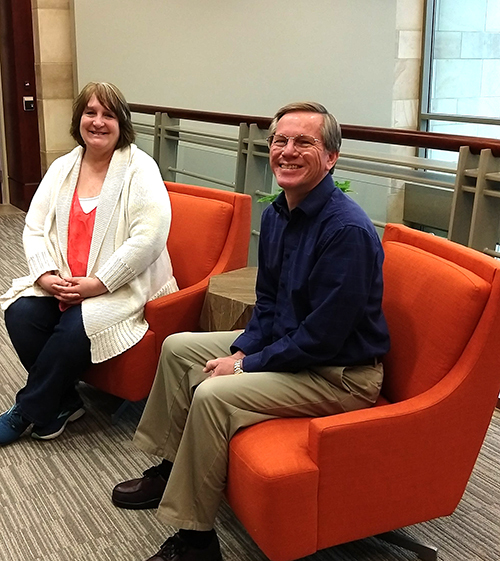 There are two employees at Escape who celebrated their "workiversaries" in March, Vicki Pugliese, Software Developer, and Bob Lehman, Software Developer. We asked both of them to tell us one of their favorite things about working at Escape. Scroll down to read what they said. Vicki Pugliese and Bob Lehman, both software developers at Escape Technology. The people at Escape make the difference. There is an inspiring amount of talent and expertise on staff who are always willing to share that knowledge while filling each day with comradery and fun. Escape has a great group of very bright people that are easy to work with and are always willing to help each other. I have known a few Escapees for almost my entire career - multiple decades!